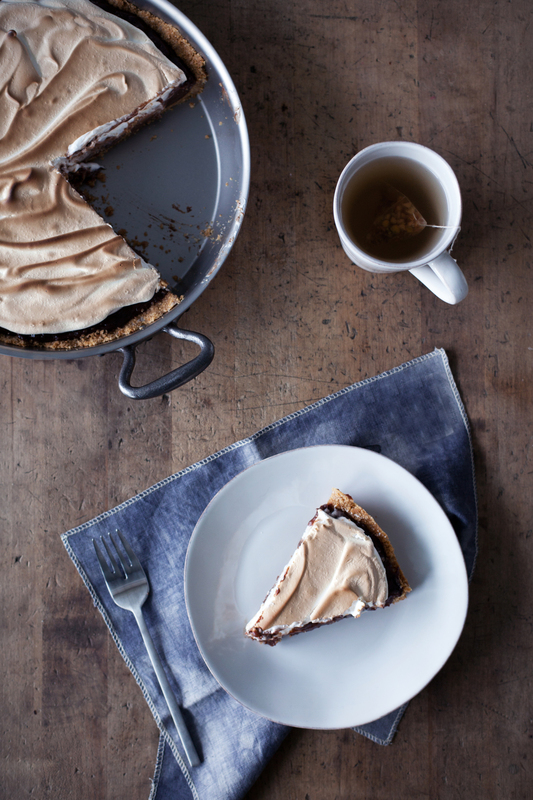 because it is not quite camp fire season, i am bringing s'more time inside with this deconstructed s'mores pie. 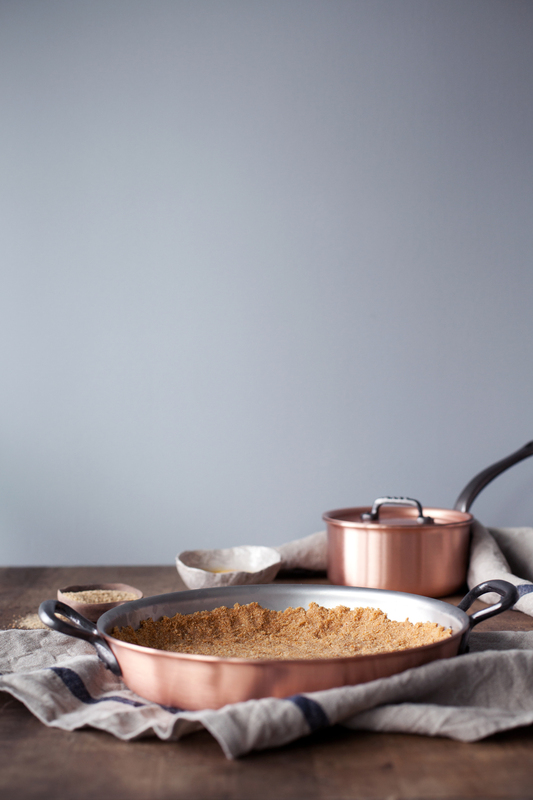 the thick graham cracker crust is my absolute favourite type of crust.. i always give myself a little extra. to be honest, because of the crust alone i like this s'more pie better then your average s'more! the filling is made with two types of dark ghirardelli chocolate; twilight delight + dark & caramel. i topped it off with a fluffy marshmallow meringue. 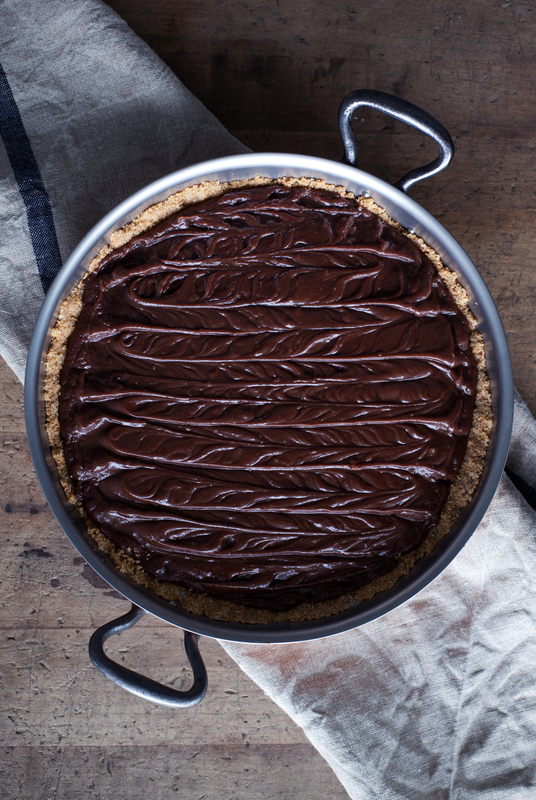 the pie crust & filling needs to be made a few hours in advance to allow the chocolate custard layer to set properly. you can finish it off with fresh meringue right before serving. if you don't like meringue you should first try this one, i promise you will change your mind. BUT if not, an alternative would be to top it with marshmallow fluff! just don't forget to torch the top with a kitchen torch or in the oven using the broiler. it puts the final toasted s'more touch taste & look to it. bake at 350 degrees for 10-12 minutes & let cool completely before adding the chocolate filling. when ready to serve, prepare the marshmallow meringue. in the bowl of a stand mixer with the whisk attachment add the egg whites. whip until soft peaks form. gradually add the sugar & vanilla. whip until stiff peaks form. spread over pie & using the broiler or a kitchen torch brown the top until golden brown to resemble a toasted marshmallow. this post was created in partnership with ghirardelli chocolate! 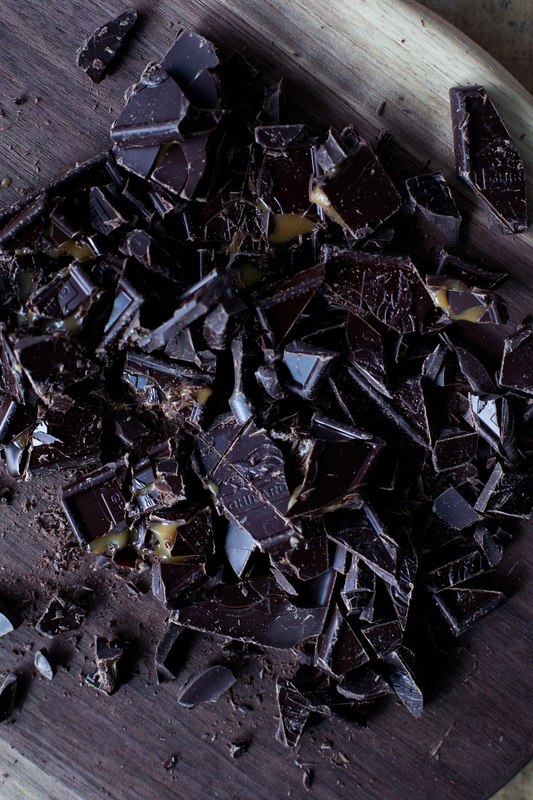 you can find the two types of chocolate i used here & here.